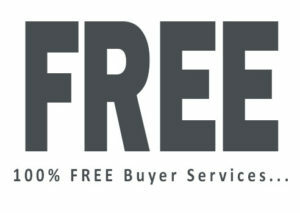 Working with the Wesley Tyler Real Estate Group as a buyer is 100% Free. That’s 100% free buyer service from the very start to the very end of your transaction and absolutely zero pressure guaranteed. There is not an agency that works harder and knows the neighborhoods better then us. Hire us, it matters who represents you. Are you ready to take your first brave step on your journey to home-ownership today? Please select a time and date below for your home buyer discovery call. Keep in mind, we operate under a strict absolute no pressure policy so there is zero pressure, zero obligation, and zero hassle on this call. The purpose of this call is strictly to educate you on the next steps towards buying a home. Home Buyer Guide – An essential tool that breaks down the home searching and purchase process into an easy to follow and understand format. Home Buyer Checklist – To be used when home shopping – Home shopping has never been this organized! Secret Special Offer – This could save you thousands of dollars at the closing table.